The imposition of what is termed 'managerialism' or 'marketisation' on universities is almost entirely disastrous. So here is a question. Why are academics so passive when their working lives are being immiserated by the imposition of ideas, mostly derived from business or economics, that are either patently false or poor? Why, when a little research or analysis would show these notions to be largely ridiculous, do they allow them to shape their academic life? First, a little personal background. This writer, who has a PhD in English literature, has had the opportunity — or perhaps misfortune — of having interviewed many of the world's so-called 'best' economists and business theorists. I have never met a single one whose intellectual development, even basic grasp of semantics, comes close to those who taught me in literature at university. For instance, when I explain to someone from a literary academic background that a phrase like 'financial deregulation' is logically impossible because finance consists of rules, the point is understood in a matter of seconds. When I say that to economists I am invariably met with blank looks and incomprehension. Economists, it seems, are not trained in semantics (the meaning of words); they simply absorb what they are told. Critical thinking is avoided and circular logic enthusiastically embraced. Similar sorts of shortcomings are evident in business and management theory (which this writer covered as a journalist for over 20 years). Apart from total quality management (TQM) — a mix of statistical insight and work place democratisation that was used to transform Toyota — no management theory has been anything more than a fad. Especially pernicious is quality assurance, a conversion of TQM into an autocratic system. It was shown by business in the 1990s to be hopelessly counterproductive and wasteful. Instead of cutting expenses by anticipating quality problems, as is the case with TQM, quality assurance involves extensively documenting quality problems after they happen. That is why secondary teachers, subjected to quality assurance methods, find themselves spending hours photocopying in triplicate their students' essays – because a senior bureaucrat in the Education Department has completed an MBA and thinks he or she has actually learned something. Even more ridiculous is using quality assurance with tertiary scientific research. How is it possible to document, in advance, the quality of the research outcome when, by definition, it is not known? In truth, a word such as 'quality' is thrown around aggressively as if it has a meaning, but in most cases it does not. It is simply a noise used by powerful dullards to justify high salaries. "With education, value is necessarily determined by the provider, teacher. The teacher knows what needs to be learned and the student does not. To say that a student is a consumer is to misunderstand what a student is." Another word that is commonly used with universities is 'marketisation', which in Britain is actually official doctrine. Students are to be treated as consumers and universities as businesses competing for their custom. As Stefan Collini notes, the anticipated returns from the labour market are seen as the ultimate measure of success. It is nonsense. Students are not consumers, because the relationship between them and the teacher is the opposite of that between a consumer and a business provider. In a business transaction, value is determined by the consumer, the receiver: will they pay for the product or not? The business may be able to use various methods to influence the perception of value, but in the end the buyer decides. With education, it is the opposite. Value is necessarily determined by the provider, teacher. The teacher knows what needs to be learned and the student does not. To say that a student is a consumer is to misunderstand what a student is. So, here is the question again. Why, when a little research and logic by well trained academics (especially from the humanities) would easily expose just how ridiculous these notions are, do they allow themselves to be cowed? True, it would require some collective action, and academics are not noted for their collegiality or ability to work together in a common cause (far from it). There will need to be a little unravelling of the technical language of economics and business. It will also require some imagination: how could the purveyors of these frauds get away with it for so long? But if tertiary education is to be saved from this plague, academics should do something together: fight back against illogic and language abuse that profoundly degrades their vocation. It might reverse the trend of ballooning numbers of administration jobs at the expense of academic positions — which, in effect, privileges the monitors of the education over the providers of education. The cost of inaction is high. Academics in English literature, in the 1970s and 1980s, supinely allowed a string of 'isms' from other fields, mostly politics and social sciences, to destroy the discipline. Now, it does not really exist. The message should be clear: in their own interests, academics should at the very least publicly ridicule their oppressors. David, distinguo: Financial deregulation *by the state* is perfectly possible. That doesn't mean there wouldn't be any rules surrounding financial transactions. It's just that the bumbling state wouldn't be creating and enforcing them. There are vast swathes of human activity in which there are sophisticated, tightly observed rules in no way created or enforced by the state. Religious law, engineering and other scientific standards, software protocols, games and sports, the massive body of commercial arbitration rules under such private bodies as the International Chamber of Commerce, the codes of voluntary groups such as the Boy Scouts ... Etc, etc. Even such conceptually novel areas such as the electromagnetic spectrum were being successfully regulated privately before the state came along: in the 1920s bandwidths were being homesteaded and then auctioned off in an orderly manner. Historically, the whole body of law merchant and maritime law was carved out by private entities. And in the end, money has been successfully privately created and regulated over virtually the whole history of civilizations. Bitcoin is the latest example. So the notion that the state can't abolish its own regulations re. financial activity lest, gasp, chaos reign amongst its dumb citizens is theoretically and historically a nonsense. I'm totally in sympathy, though suspect the battle has been lost. I'll allow that financial deregulation is taken to mean less regulation, fewer government regulations; and that as a student I can act as a consumer when deciding at which of 5 universities in Perth I will choose to do a B.A. But I think you are right about studying literature or philosophy .... it teaches you to think, and to think about what kind of life we want, which is the best way to act. The problem with economics is that it is a collection of tools, some more useful than others, but it is not philosophy and can't help you choose what to do with the tools. It doesn't help you know what might be traded off for something else, like, efficiency for morality! The corporate university is imbued with marketing, managerialism and business theories. With TQM and the other plagues you discuss, David, the underlying principle is: "If you can't measure it, you can't manage it" - hence the proliferation of administration, monitoring staff and paperwork. Just as with quality audits on hospitals, aged care homes, schools etc; and the games around inspections. I worked in two universities and a minor point against your argument is that the faculties that attract the most money are often Business, Commerce, Law, Banking etc. MBAs are still money spinners but degrees in literature[which I also have] are not so sought after. Literature lifts us on the wings of imagination; managerialism, TQM etc contaminate morale. University staff have been entrapped over the last twenty years, with KPIs determining their career progression. Basically it's a preoccupation with money; research brings in the loot, teaching a poor cousin. Most ambitious academics prioritise research over teaching in my view, not that the two are incompatible. But it's the decline of the collective, the community, unions, that explains the malaise you identify. In a competitive environment, individualism flourishes but the ideal is to achieve the optimum balance between collaboration and competition. Hear! Hear ! David James. The Emperor's New Clothes and Alice in Wonderland enjoy more credibility than some of our universities. I suspect the academics permit the continuing dumbing down because by now so many of them were educated in a dumbed down institution. Academics and teachers have become glorified supervisors of accountable systems, the ticked box , the contract, the corporate agreement, ATAR scores, all have which have diminished the role of scholar and vapourised the content therein. Years ago the cry from the level playing field hucksters was that universities did not prepare people for the workforce, and it was time for the guardians of those erudite and noble institutions to step aside and let the people who really know how to make the bucks and employ the minions run the joint. Competition ensued and the degrees bagan to churn, the cash registers grew. Education then became a business model, lecturers and academics, contracted employees (outsource workers). Then the casualisation of the workplace and the feeble minded and paralysing distractions: occupational health and safety agendas, mind numbing protocols, the wedge went deep and the language of enforcement and execution snared. And last but not least education became a backdoor ticket to residency, not only an immigration rort but a long term plan to minimise wages and douse whatever spluttering flame of solidarity that might be flickering in the union movement. You wanna work tomorra? Better keep your mouth shut. Oh and did I let it slip, Have I offended someone? If anyone is in any doubt regarding the annihilating affect of managerialism read Toni Morrison's nobel prize acceptance speech. You was warned decades ago that the language of business rules by ruthless protocol and destroying meaning. Do your job and shutup. Whereas the ideal of the University is collegiality, the reality is hierarchy, the centralisation of power to an elite. So, we have this asymmetry of power that exists in so many places: trusting academics versus ignorant managers. The academic skin is in the teaching and research game; the administrator's is in power and wealth. Different worlds, so the academic, trusting collegiality, working alone or in a small group, is blindsided by creeping acquisition of power, is unaware or cannot see how to build an effective opposition. I do not know the way out of this apart from complete breakdown and re-formation. (And of course, this applies to other hierarchies: the church, political parties, etc. spring to mind, where the skin in the game is not aligned to the purpose of the institution). “Managerialism”, M, is a plague not only in the universities, but in all of education. The M doctrine claims that to be “successful”, all institutions, public and private, should be controlled by professionally trained (or at least, professionally recognized) managers. So the field or industry into which senior executives are appointed need not be properly understood by them. This brings to mind an anecdote about a visit to Cambridge by UK government officials who met some dons informally. The senior civil servant said to them, “So you work for the University?” The reply came “Sir, we ARE the University!” But of course the M disease infects many (perhaps most) institutions other than education. Hullo John Frawley and Peter Horan: Your comment, Peter, about ‘the academic, trusting collegiality, working alone or in a small group, is blindsided by creeping acquisition of power, is unaware or cannot see how to build an effective opposition’ touches nicely upon the malaise of academics in combatting creeping managerialism within academia. In contrast, John explains it in terms of how ‘academics permit the continuing dumbing down because by now so many of them were educated in a dumbed down institution.’ This is elitist thinking and offensive to many academics: it is more or less along the lines of ‘I have been through the best institutions, I have succeeded at the top level, I am unlike the rest of humans who have lost their way, taken false paths, fallen into the ways of ignorance and are now just dumb because they have been educated in dumb institutions.’ About ten years ago I completed a doctoral project which investigated assessment practices in six Australian universities, a number of which John, I believe, would not consider ‘dumbed down’. The facts are, however, as David James’ article illustrated, there are business and economic ideas that have infiltrated the culture of all universities. The Lukian bleat of ‘God, I thank you that I am not like other men..” is elitist at core: basically with all of these universities it is a case of follow the money trail within each institution - who are the beneficiaries - and which academic are turning up to committee meetings in suits, ties, and corporate dress etc. Where to start? How about following the money? P.R. spin doctors are paid more than academics who know professionally what words mean and how language operates. But VCs would prefer to spend money on PR cos it works for them and their kingdoms. Your accurate listing of silly ideas and their acceptance in the economic world and then the academic one is puzzling, David. Could it be that much of the material of economics takes on the qualities of the mystic? So better to practice than to question the foundations? We happen to live in an age when the lens through we look at the world is economics and money matters. Though what you cannot measure is often more important than what you can measure. This is lost on, must be attacked by, those who can produce facts supposedly designated by numbers and those who want to profit from those arguments. Then again universities have accepted a competitive framework where once colleagues are now competitors for jobs. So there goes solidarity. The very people who could call out the naked emperor are unable or unwilling to do so. Jesus would not have got a job in a university, because though his teaching was OK he did not publish anything . And academic arguments are so bitter because the stakes are so low. Unfortunately the ivory towers have been talked into talking Babel and so cannot perform the functions for which they were created and for which society relies on them. I understand, David, that your focus is on universities, but there is a danger from your piece, reflected in some of the postings, that managerialism will be seen as OK for other organisations and institutions but not for academe. In fact the shortcomings of managerialist approaches are universal and have evolved from attempts to assess performance by often simplistic quantification. No institution can be excused from ensuring as far as possible that it has clear goals and that its resources are effectively and ethically used in the pursuit of those goals. That's at times very difficult but the principles are clear. Too often, the real principles of accountability through good governance are dismissed by major organisations such as universities and service organisations and churches as not relevant to them, resulting in waste, ineffectiveness, unethical behaviour and worse. It's the principles of good governance that should be focussed on to ensure performance, namely accountability, transparency and inclusiveness. No organisation is excused from applying those principles but all should be wary of simplistic managerialist nostrums. This tommy rot began far earlier than supposed. At UQ under Zellman Cowan’s Vice Chancellorship in the 1970s Form UQ1 was devised. On this table top sized sheet, faculty were “required” to show every working hour of the past year. Some returns totalled more hours than exist in a year. But the best response to this pathetic early attempt at university management was the collective returnof the Philosophy Department: “ we just dont do this sort of thing “. Thats rather hard to manage. In the half century since this impossible bad dream has come to afflict universities, not for profit health care, NGOs, charities, and far beyond the commercial sector free to irrationally waste their resources. A plague on all the houses of management, public relations, and efficiency ! We have lost our way allowing these hucksters to prosper and dominate real endeavours. I wouldn't get too worried. Language, like mankind, is forever evolving. Read Shakespeare for instance. It is not about the evolution of language. It is about the misappropriation of language in inappropriate situations. Orwell's "1984" noted "if you want to corrupt society's norms, first corrupt the language" , but I believe that most of it has occurred through a pandemic of ignorance. "Financial deregulation" and "Total Quality Management" are jargon peculiar to a discipline, and do not mean what you may assume by applying the common understanding of words. 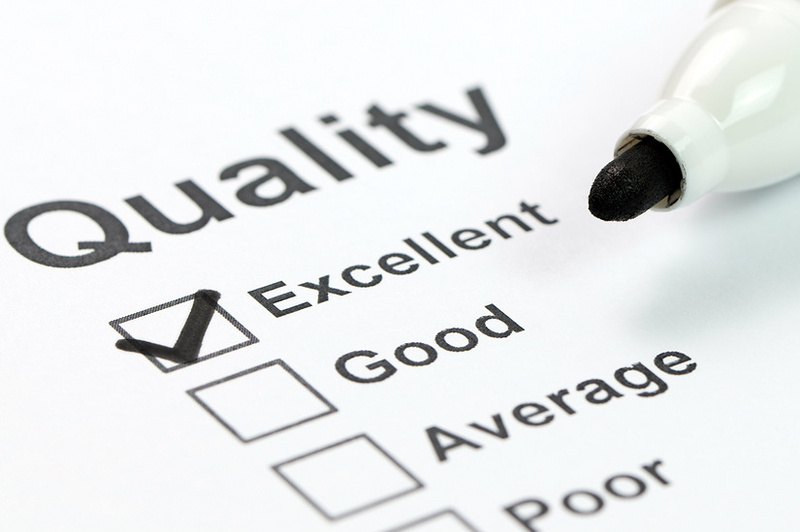 Total Quality Management is a systematic set of practices aimed at producing for the customer top "quality". This doers not mean "excellence" in an absolute sense; it is defined subjectively by the typical customer as what most satisfies his/ her expectations-hence a different absolute meaning in every market for every product. The TQM approach has been grossly misapplied by bureaucratic managers afflicted by the groupthink belief that "management is management, it does not matter what business or enterprise you are in". TQM came out of manufacturing, and the casuistry of education now has not "courses" but "educational products". Bring in the politicians, who know nothing about either management or education, let them call the shots by mandating KPI's, and you soon have the complete disaster! "The hungry sheep look up and are not fed,/But swollen with wind and the rank mist they draw/Rot inwardly, and foul contagion spread . . . " - Milton, "Lycidas". There might just be a way out of this managerial maze: look for inspiration to the hedge schools of Ireland's past that at least preserved core language and cultural values, a collegiality in learning, and a sense of creative independence.